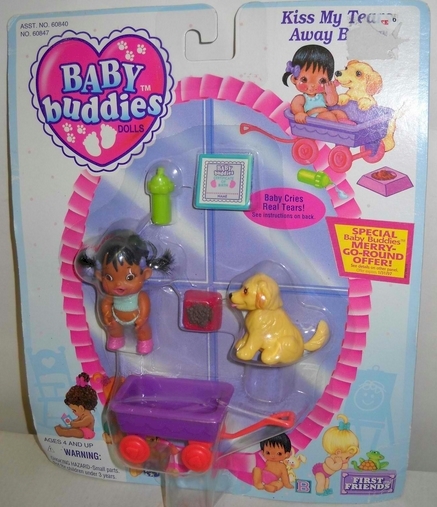 They're always together, best friends forever - darling BABY BUDDIES and their sweet little pets! 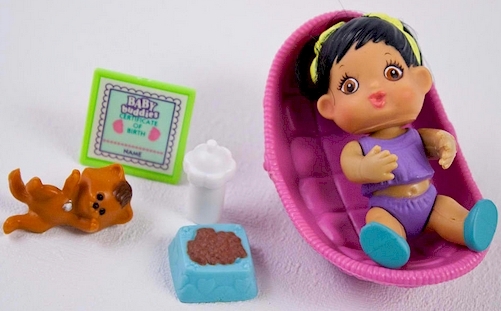 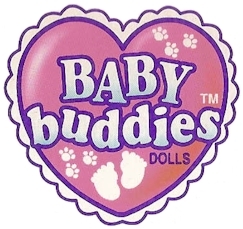 Make friends with these loveable little buddies who do all the cute things real babies do. 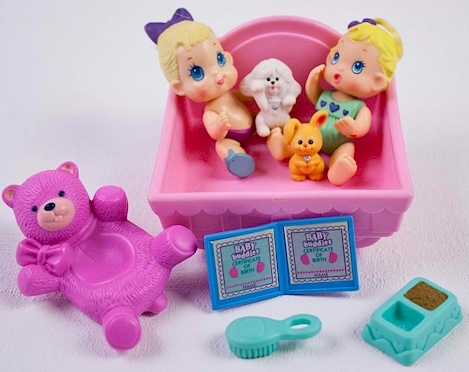 Just love them lots and care for them bunches...wherever they go, whatever they do, they'll be full of surprises and smiles for you! 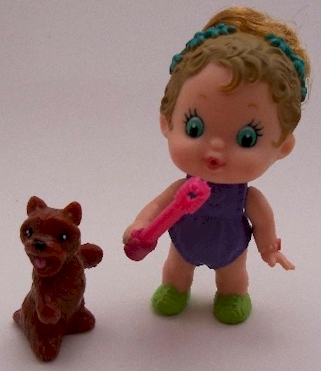 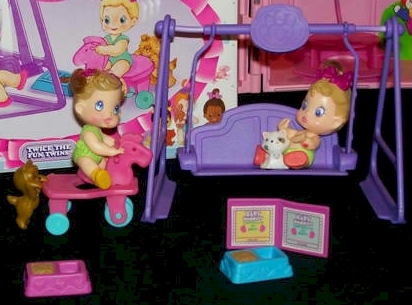 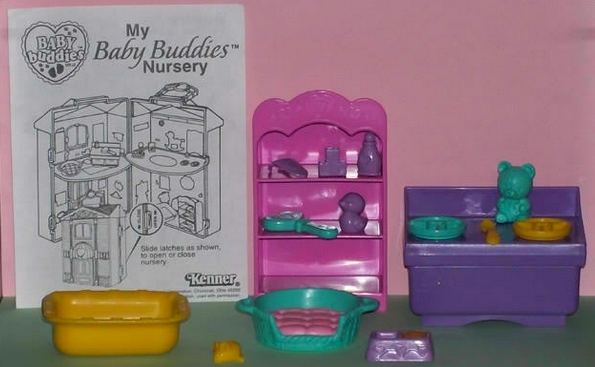 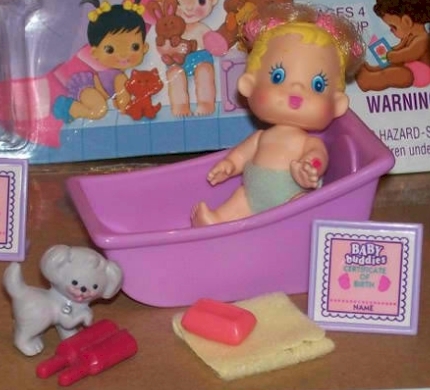 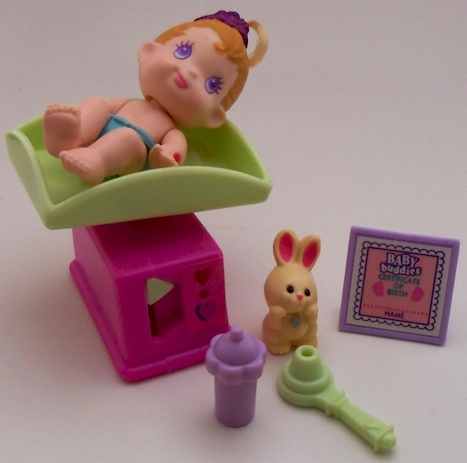 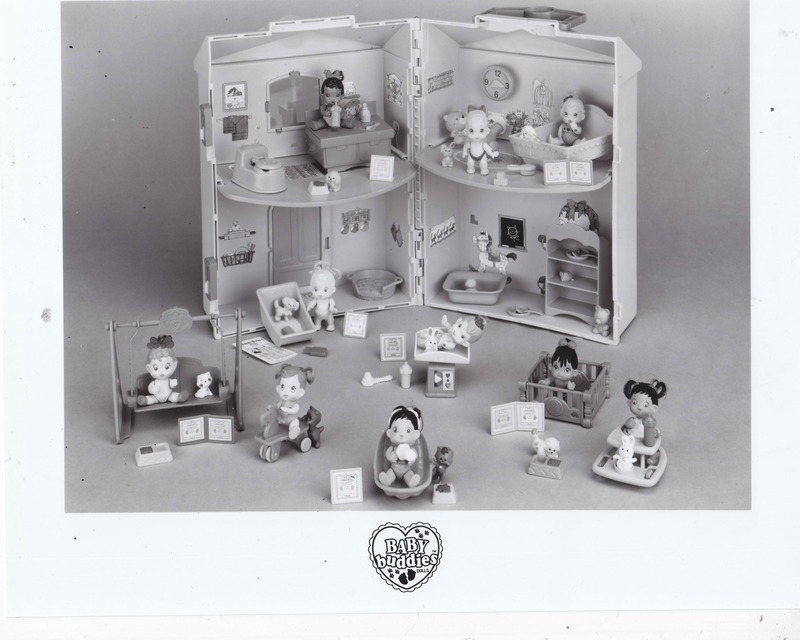 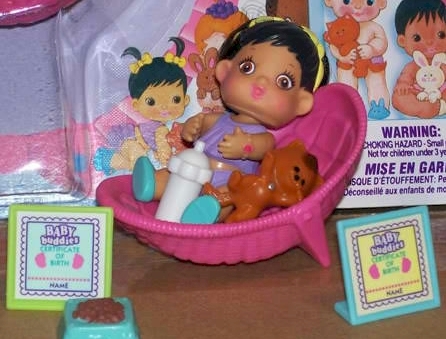 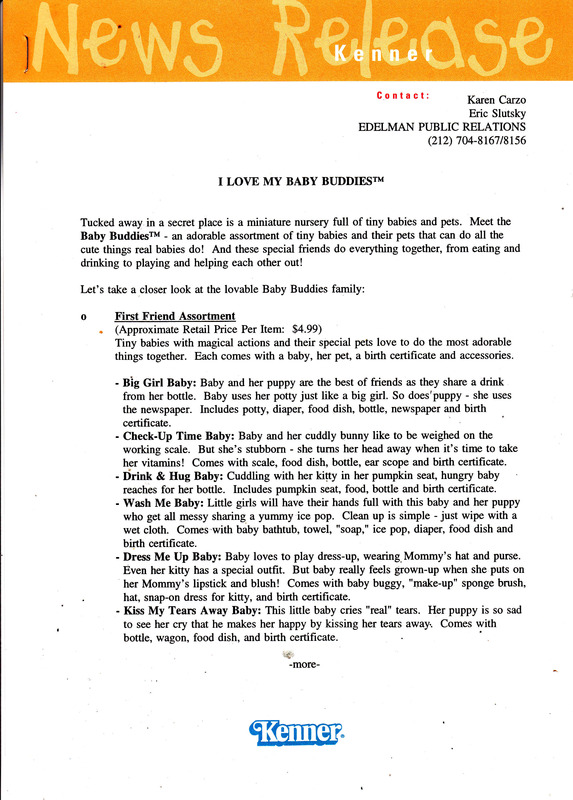 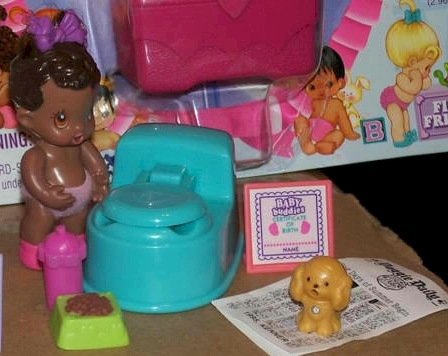 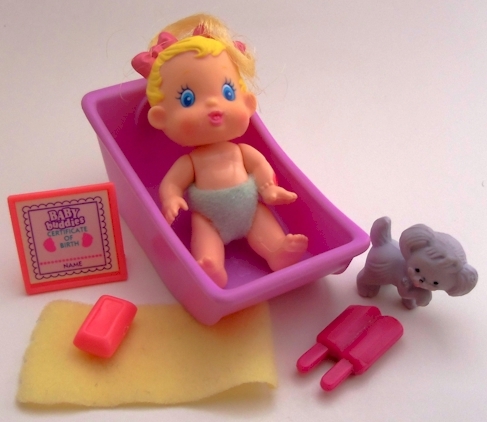 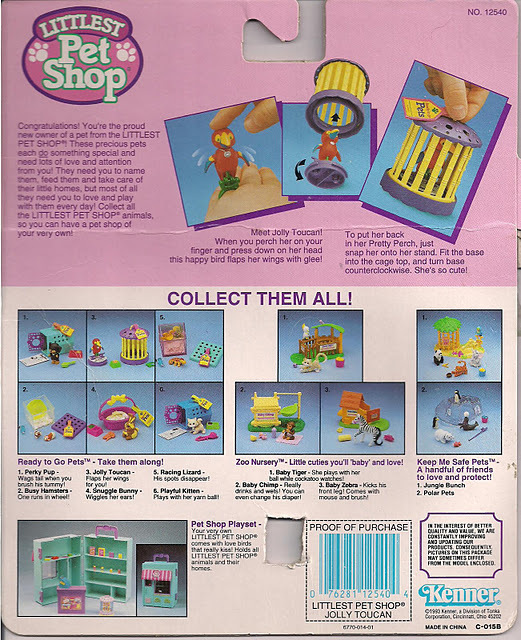 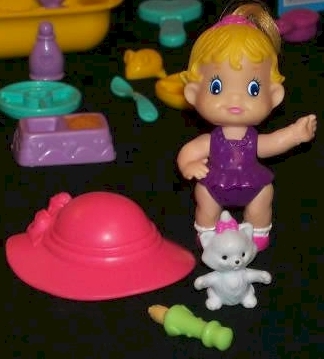 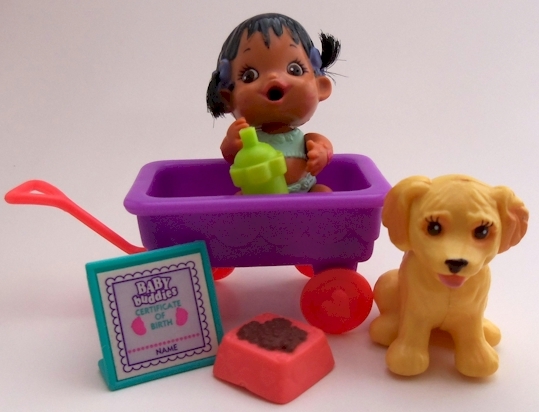 In 1994 and 1995, Kenner produced the Baby Buddies toy line, which featured pets and accessories that were either similar to or exactly the same as many Littlest Pet Shop items. 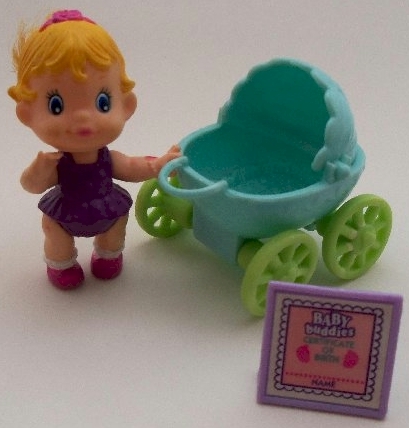 Since Baby Buddies accessories are easily mixed up with LPS pieces, I'm providing this brief ID reference for the BB collection. 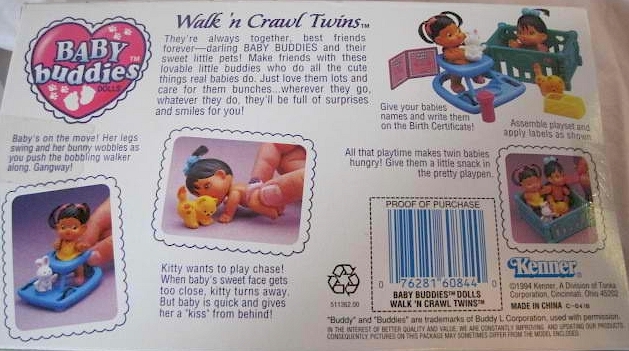 Many thanks to jeapos88 for providing these wonderful scans! 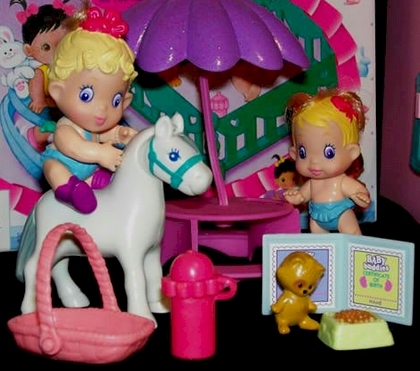 Two babies and 2 darling pets for double the fun! 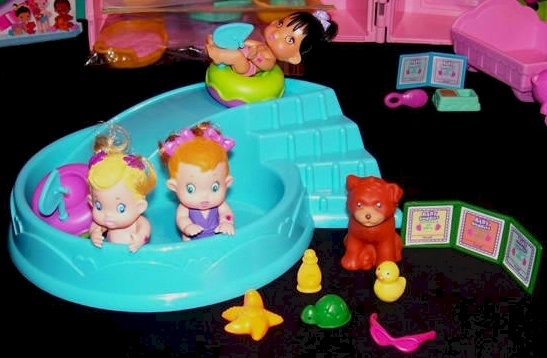 -Crouching Leaves heart-shaped tracks in the "sand"
Pooltime water play with 3 babies and their pets! 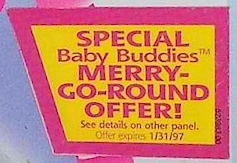 The perfect place for your Baby Buddies! 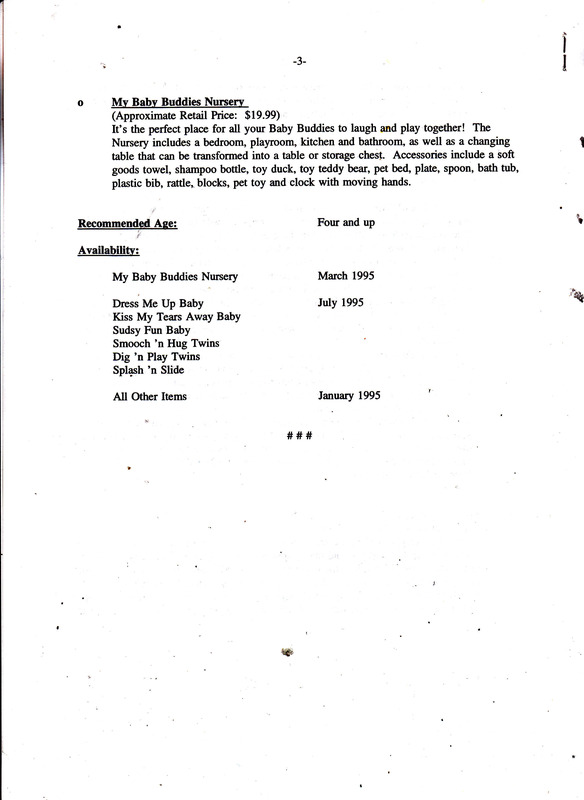 Special rooms for mealtime, playtime, diapering, and bedtime. 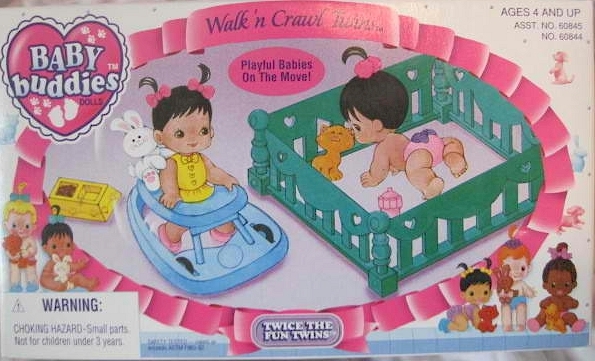 Comes with over 20 fun accessories (babies and pets sold separately). 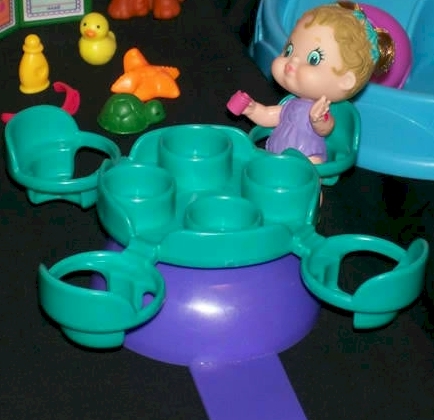 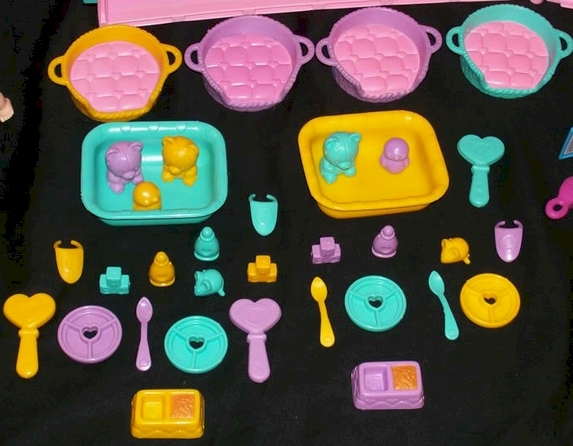 Color variations of accessories (missing teal duck, purple basin, purple mouse, and teal food/water dish).